Hey guys I have an assignment due tonight, I have to draw a circuit that was given to us. In the circuit voltage components and wires are at a 45 degree angle. I'm new to circuit lab and haven't a clue how to do it if you could help me that would be great. Thanks in advance! also have this problem would be a great help if someone could explain? Do you really need to draw angled wires? 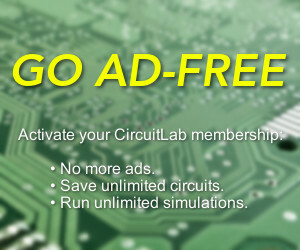 That's correct -- CircuitLab only draws horizontal and vertical wires. We did add a few 45-degree schematic components that are useful in some situations, but only resistors/capacitors/diodes. Missing angle wire cause me to cancel my subscription. I can't see why it matters. Bridge rectifiers and multivibrators may be drawn with angled wires to show symmetry, but could equally be drawn in cartesian form.